TAKE ACTION INTO YOUR OWN HANDS AND TRANSFORM YOUR LIFE FOR THE BETTER. 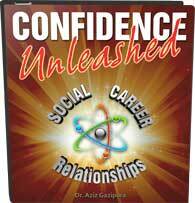 What if you could transform from a shy or socially anxious person to someone who’s confident and free of fear? What if I told you that this transformation could also be completely genuine, and you don’t have to put on some fake persona to make it happen? Today, we’re going to be discussing your potential to create a total identity shift and make incredible strides concerning how you view and present yourself to the world. To begin with, confidence is a discipline: if you practice it and commit yourself to it, you will develop it and see major changes in your life. In some cases, this transformation can be surprisingly rapid, and that is the idea behind my sharing this amazing tip to developing your confidence and shifting your identity. Now, your identity (or self-image) is how you see yourself: confident or shy; attractive or unattractive; successful or not successful; capable or useless. Not only is this identity very thorough, but it can also become quite indelible. After a certain time, if you’ve been living a certain way, you begin to believe that’s the only thing you’re capable of—it becomes who you are. Unfortunately, thought becomes action; action becomes reality. In other words, reality in the outside world will eventually conform to the reality you’ve created in your inside world. If you believe that you’re shy—or socially anxious, or stupid, or lazy—that belief will rule your action, and you will behave that way out in the real world. How do I know this? Because it was my identity for years. Let’s take the case of a person who believes he is shy: when he goes to a party, what will his actions be? Will he actively attempt to mingle? Will he approach people, start conversations, and put himself out there in order to have a good time? Absolutely not! He’ll probably be a wallflower, linger by himself at the bar, and spend the night on his phone. He has created a reality in which he is shy, and his actions are only perpetuating this reality. Again, this was my reality for years. Then, I realized that something else was possible. I realized that I could shift my identity and actually create the reality that I wanted to live in. So, how did I do that? I changed my actions despite my beliefs. Think about it this way: when you consistently approach new people to start conversations, you become the sort of person who approaches people to start conversations; when you consistently speak up in a group setting, you become the sort of person who speaks up in group settings; when you consistently take risks and talk to people who attract you, you become the sort of person who takes risks by talking to people who attract you. This is the importance of language: when you consistently do XYZ, you become the sort of person who does XYZ. Who am I today? I am the kind of person who can easily talk on camera; I am the kind of person who can speak confidently and look others in the eye, whether one-on-one or in large groups; I am the sort of person who goes after what I want in life, regardless of the social discomfort. I am not this person because I magically woke up one day and took a pill or got hypnosis: I am this person today because I did those things over and over again until they became a piece of my identity. So, what is it that you want to be able to do? If you had unstoppable confidence, what would you attempt? What can the confident version of you accomplish with his or her life? The first step to creating a new identity for yourself is to visualize how your life would be different if nothing was stopping you from your success. Without vision, we perish—we’ll never get where we want to go. Once you’ve created a vision for your future, you simply need to begin consistently doing the things you see yourself accomplishing! In your vision, are you a go-getter at work who isn’t afraid to share his ideas with the boss? Then you need to consistently start communicating with your coworkers and the higher-ups at your job. Maybe that starts with just a few “Hellos” here and there—eventually, it will build up to conversations and sharing your thoughts about important projects. Each time you perform one of these actions, it will feel like a risk—you will fear rejection and discomfort. This, however, is necessary when it comes to changing your identity and forming a new path for your life. Not sure you’re ready for this challenge? Start by checking out my previous video, “Three Tips on How to Overcome Shyness and Social Anxiety,” which will give you three simple yet effective techniques for inviting this change into your life and jumpstarting your transformation. There are countless resources out there to help you through this journey, including those on my website and beyond. Action is the key, however. If you want to make changes, you need to step up and find the courage to make change happen. 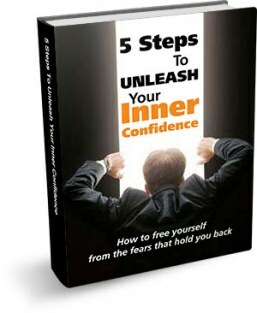 My book, The Art of Extraordinary Confidence, and especially my program, Confidence Unleashed, are both a great place to start if you really want to generate courage fast and remove your stories, fears, and self-doubts and generate positive action. There are no excuses! If you truly want to transform, you can. Yes, it will take hard work . . . but it’s hard work you are capable of doing. The only demon is doubt.